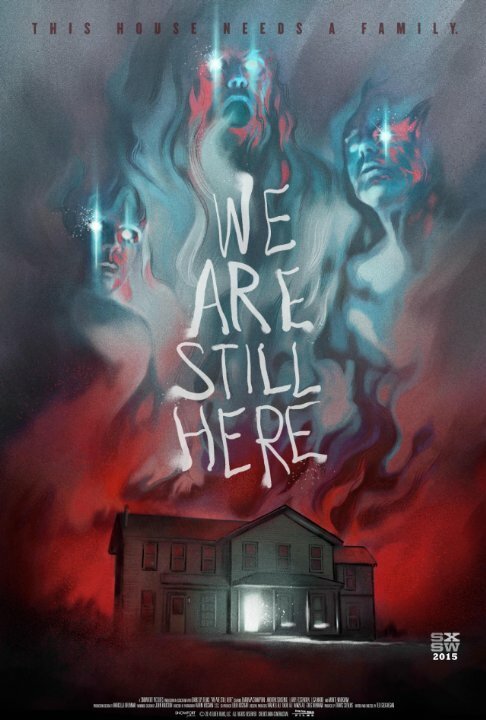 For those who enjoy the "classic" horror of the 80s, We Are Still Here plays like a nostalgia trip and it even features Barbara Crampton (from the Re-Animator series) and great character actor (and sometimes director) Larry Fessenden. The effects are all practical (and gory) but it also has a pretty good atmosphere going as well. A good horror film for a dark night. Started off as a solid ghostly creeper. Early scenes setup a nice spooky atmosphere that led to chills. However, around the midway point, the film takes a turn. Other horror elements of possession and cults redirect the story. It becomes less about a grieving family dealing with an entity, which got me into it in the first place. This evolution changed the tone of the film from mysteriously creepy and realistic, to farfetched. Over-the-top gory deaths happen out of nowhere. It creates an imbalance. The plot turns were either silly or predictable, for a low-grade bloody shocker. "Moving away from the city isn't the same as moving away from the memories. He's always going to be with us. Annie, honey, yes, in our hearts but not in the house." No posts have been made on this movie yet. Be the first to start talking about We Are Still Here!